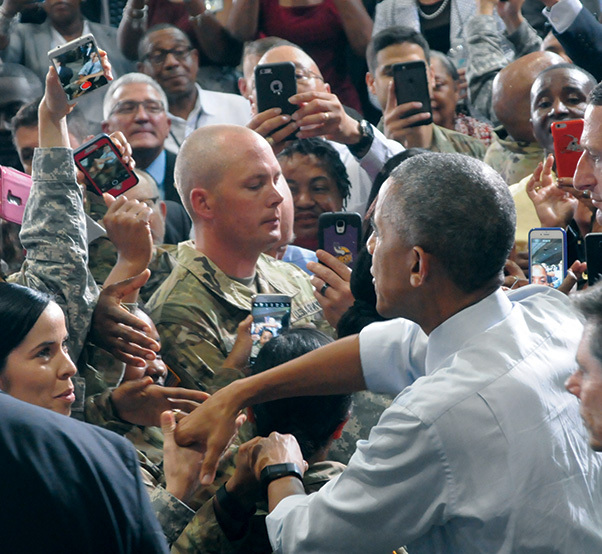 President Barack Obama greets a throng of Fort Lee community members during his visit to the Sustainment Center of Excellence Sept. 28, 2016. President Barack Obama thanked service members at Fort Lee, Va., Sept. 28, and said the nation will honor its debts to those who serve. The president also held a town-hall meeting with the troops hosted by Jake Tapper that broadcast on CNN. Fort Lee is the home of the Combined Arms Support Command. The president noted that the logistic support that emanates from the post is what makes the U.S. military the best in the world. U.S. troops can deploy anywhere in the world and know they will have what they need, when they need it, thanks to the work of the people at Fort Lee, the president said. President Barack Obama returns a salute from a woman who served during World War II during a CNN Town Hall moderated by Jake Tapper to discuss veterans, national security and foreign policy issues impacting the U.S. military, at the Clark Fitness Center at Fort Lee, Virginia, Sept. 28, 2016. Now America has to uphold its side of the covenant with service members, Obama said. 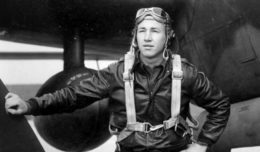 “You took an oath to defend us,” he added. “The rest of us need to fulfill our oath to you.” America also must take care of Gold Star families — those who have lost their military family members to war, the president said. 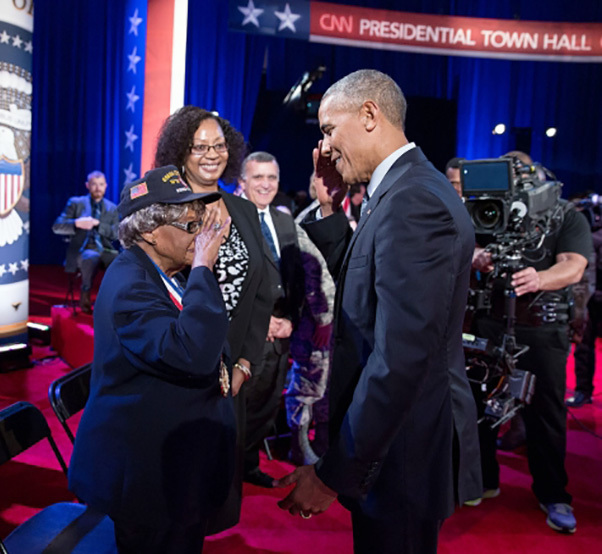 Obama also thanked the service members for setting the example for all Americans. “Especially during an election season, the country seems divided,” he said. “But the truth of the matter is that when you look out at this group, … you are unified in your mission. You do your job. You look out for each other. You lift each other up. You leave nobody behind.